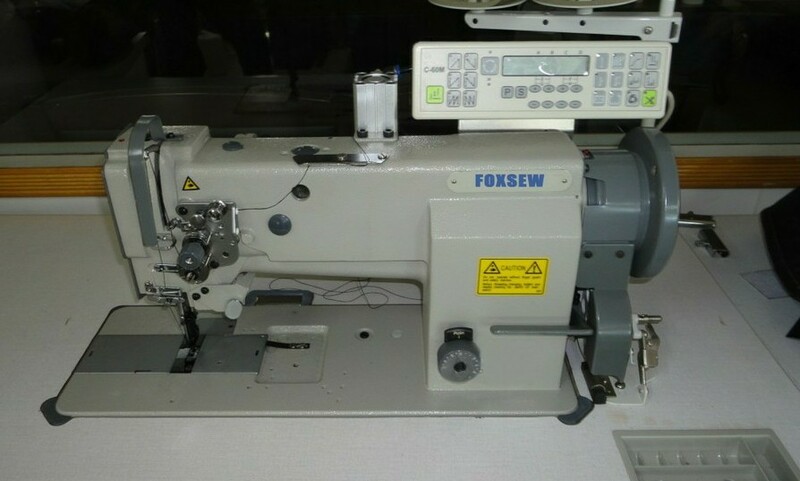 Features: Compound Feed Heavy Duty Lockstitch Sewing Machine is the latest of FOXSEW brand Heavy duty sewing machines, which is designed with large vertical rotating hooks for thread loop catching and sliding bars for thread up-taking. It has been sub-classed into single needle, two needles, single needle with under-trimmer and two needles with under-trimmer. 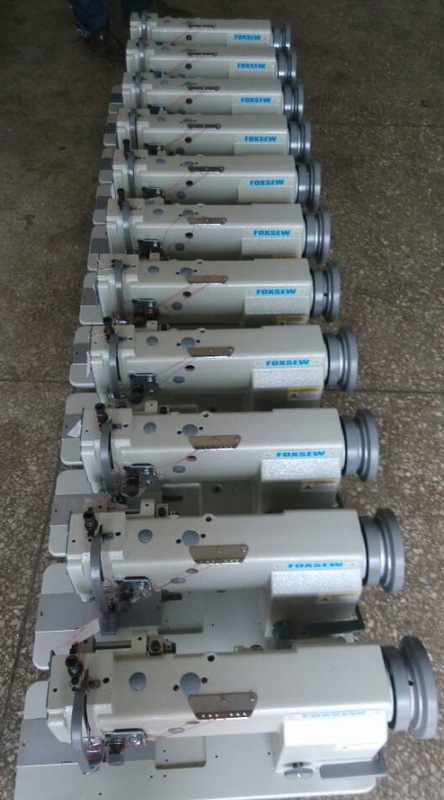 The application of needle bearings for arm shaft and hook shaft, dog belt driving, plunger pump lubrication and compound feed by needle bar, presser foot and feed dog provides this series with such splendid features as smooth running, quiet working and a long service life. It is also equipped with a safety clutch to prevent the hooks from damage by over-duty operation. So it is especially available in stitching car seat cushions, safety belts, safety air bags, tents, parachutes, etc..
Standard: 6.4mm, 3.2, 4.8, 9.5, 12.7 mm is available. 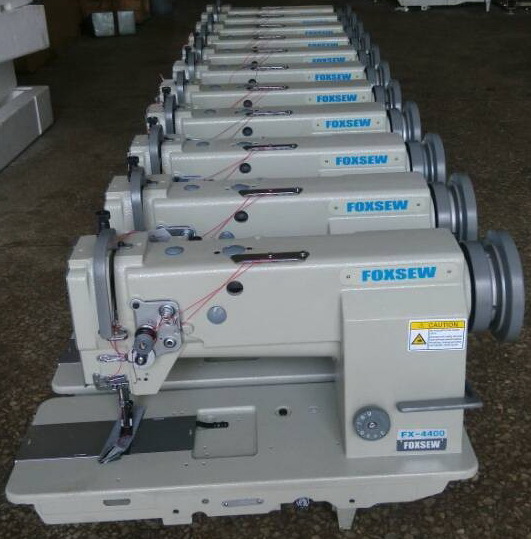 Looking for ideal Compound Feed Heavy Duty Lockstitch Sewing Machine Manufacturer & supplier ? We have a wide selection at great prices to help you get creative. 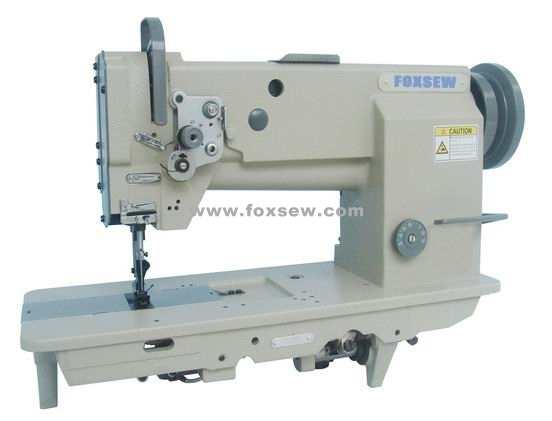 All the Heavy Duty Compound Feed Lockstitch Sewing Machine are quality guaranteed. 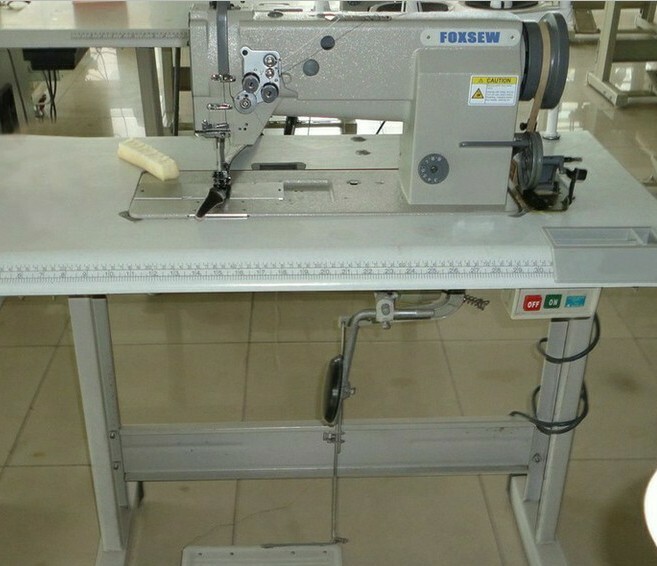 We are China Origin Factory of Unison Feed Heavy Duty Lockstitch. If you have any question, please feel free to contact us.